After gold was discovered in South Africa in 1886, rock drillers rapidly established themselves as an elite occupational group. A century ago, rock drillers on the North American Lake Superior copper mines similarly enjoyed ‘superior status’. They were ‘the working class elite’ and went on strike when their status was challenged. [i] This occupational tradition continues into the present. Drilling is the most central work activity in the support, drill and blast cycle in mining and embodies considerable tacit, experiential and practical skill. Respected within mining communities, rock drillers perform the hardest job and face the most hazardous conditions underground. [iii] Yet despite being on the lower levels of the job-grading system defining wages and salaries, rock drillers often earned more than supervisors. No other occupation, for instance, earns a special allowance of R750 (€75) for simply doing their job. The rock drillers were originally described as Jack-Hammer Hands or later simply as ‘hammer boys.’ These men drilled the rock by hand. Since the introduction of the machine rock drill, they are known as ‘machine operators’ or RDOs. The occupation has a distinct origin. The first rock drillers were largely former globally-mobile Cornish tin miners. Only these skilled craftsmen could drill the Witwatersrand Basin’s hard quartzite host rock. They worked a month-long contract and uniquely contracted themselves via a verbal agreement with the mine manager based on specific production targets and commanded high wages. The jack hammerers worked in pairs and drilled with a hammer and chisels. With every hammer blow, the ‘Jack’ would twist the chisel before the ‘Hammer’ would deliver the next powerful blow. To drill a hole of 36-inches-a-shift was the norm then for a fair day’s work. Engineering designs of the rotary drill were to emulate the twisting motion of the human hand in the design of the ‘jack-hammer’ machine drill bearing the name of these early hand rock drillers, a job which had already been taken over by black mineworkers by 1897. That Chinese workers enabled narrower stope-widths is significant. Stope-widths today are considerably narrower than a century ago. The dimensions of a modern back-fill stope, over 3 km underground, reveal the cramped nature of this working environment. The stope-width is from 80 cm. The depth of the stope is approximately 170 cm. The length of the stope is generally between 30 to 40 metres and runs at an angle of between 15 and 30 degrees and has a target ambient temperature of 28.5 degrees Celsius. Drilling horizontally into the rock face here is taxing, rigorous and dangerous, hence its status and the social attitudes it engenders. The Mozambican workers who replaced the Chinese labourers were to constitute the backbone of the industry for the next 70 years and dominated the rock drillers’ occupation, drilling by hand or hand-held machine. A century ago Mozambican hand rock drillers expressed their objective power rooted in production by refusing to drill more than one hole per day as this could become the norm for a day’s work. In 1907, the stand-up ‘Slogger’ machine rock drill was replaced by the considerably more effective hand-held machine rock drill, even though hand drilling remained the dominant method of breaking rock through to the 1930s. Crucially, neither the hand-held machine drill, nor the process of stoping, has changed appreciably ever since. The hand-held machine rock drill continues to occupy centre stage underground as the working faces, in both gold and platinum mines, have remained stubbornly resistant to mechanisation. With full mechanisation effectively stalled in gold mines and not generalised on platinum mines, the consequence is the continued presence and need of large numbers of workers underground, with the RDOs in particular here to stay for the foreseeable future. The ‘Kings of the Mine’: On strike and in control of production The status of rock drillers is not only related to the difficulties and critical position of their work, but also because they earned relatively high wages. Rock drillers were never part of the highly contested ‘maximum average system’ which placed a ceiling, from 1913 to 1965, on black mineworkers’ wages. [v] In the 1930s, for instance, the RDOs were viewed by their peers as the ‘kings of the mine’ due to both the rigour of their work and their earnings which were higher than their immediate supervisors. The epithet of being ‘kings of the mine’ surfaced again in 1985. Dissatisfied with their job grade, wage levels and the National Union of Mineworkers (NUM), a group of RDOs confirmed their social power by compelling management on an Anglo Platinum shaft to meet a delegation from their ranks who improved their working conditions. By 1999 the RDOs had formed their own informal workers’ committees and over 3600 of them struck across Anglo Platinum. They were accompanied by a new small trade union representing them, reminiscent of what occurred this year on the platinum mines. This smaller union, around which controversy reigned, the Mouth Peace Workers Union, only managed to gain a foothold among their ranks as they had not been adequately serviced by NUM. Trade union rivalry and violence spilled across the gold and platinum mines. In 2004 at the Anglo Platinum shaft, however, after much discussion between all parties and an external facilitator, a productivity deal was negotiated in which the RDOs were the central players. The situation was ‘normalised’. Productivity increased by 14% on the shaft, sustained over eight months. Through their own intensified efforts, the RDOs won back their wages and the company won back lost production. No other occupational group could have done this. Following a series of occupations and sit-ins since 2009,[vii] in February 2012, at Impala Platinum, 5000 Rock Drill Operators led 12 000 other mineworkers out on strike after they were overlooked for a wage increase. With their historically entrenched status ignored by both management and NUM, these RDOs took action and triggered what became the most extensive strike wave in South African mining history. In August at Lonmin’s Marikana mines, 3000 RDOs followed the Impala RDOs’ example, but not before management at Lonmin’s Karee mine followed long established practice – negotiating with a delegation of Rock Drill Operators outside of established bargaining structures and granted pay increases. [viii] Taking umbrage that their historically entrenched status was ignored, RDOs at the two other Lonmin mines took action and triggered what became the most extensive strike wave in South African mining history. Other mineworkers across the platinum and gold mines, as well as sporadically on the collieries and elsewhere, including on farms, arguably took the RDOs actions as their cue to wage a series of often violent legally-unprotected wage strikes and articulate other demands. 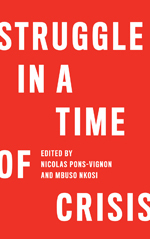 If what is becoming known as the post-Marikana period in South African history is to be understood, the central role of the RDOs in production and the status their job has generated over a century is where any analysis must start. Paul Stewart teaches at Wits University, South Africa. He lived in the mineworkers’ compounds and went underground daily to do research for his PhD thesis entitled: ‘Labour time on the South African gold mines: 1886-2006’. Together with Dhiraj Nite, he edited a Special Congress Edition of a book entitled Mining Faces: an oral history of work in gold and coal mines in South Africa: 1951-2011, published by Fanele, an imprint of Jacana, in Johannesburg.